You are here: Home / Co-Parenting / 32 Great Gifts for Moms and Stepmoms! 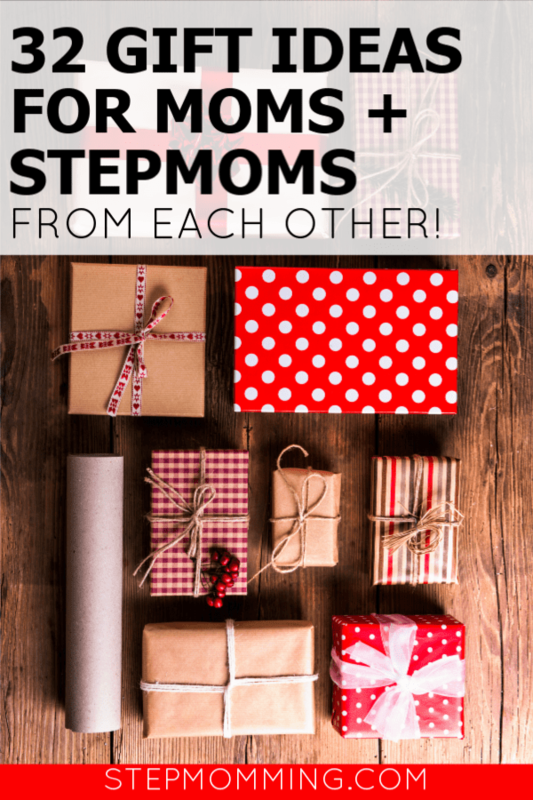 32 Great Gifts for Moms and Stepmoms! What kind of a mother doesn’t have a million mom mugs in her cabinets and funny t-shirts in her closet? My cabinets are full of “Baby Maker” mugs and my closet can always use another “#momlife” t-shirt. I know Kristen is the same way! This holiday season, we’re challenging you – mamas and stepmamas alike – to buy a gift for the other mother figure in your child’s life. Yep. That’s right. Instead of picking up that new “Mama Bear” shirt or “Mom Wife Boss” mug for yourself, get it for your child’s other mother. I know what you’re thinking. “But she’d never do that for me!” “She doesn’t deserve a gift!” “F*** that!” But I’m telling you – every kind or thoughtful gesture goes a long way. Even if you aren’t in the greatest co-parenting situation right now, there’s still hope. Even if you don’t always agree on parenting topics, it doesn’t mean you can’t get along! Be kind. Be thoughtful. Buy the other mom in your life an awesome gift! I can’t wait to hear how this challenge goes! Let me know the reaction of the mom or stepmom you’re gifting to in the comments! PS: Here’s why this stepmom is crazy for blended family Christmas!